Learn about proper usage and installation of spas and bathtubs from our installation instruction manuals and informational videos below. Our instructional videos cover many hot tub topics such as: how to drain your spa, how to change temperature ranges, how to change the filtration duration, how to change the mode of heat or rest, how to locate the serial number for various spa models, how to replace the waterfall on/off valve, how to replace a pump or jet in a spa, and how to wire a GFCI for a 220v spa. 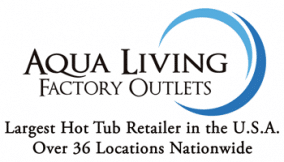 When shopping for a hot tub, the number of choices can seem overwhelming. Luckily, knowing just a little bit about the different types of hot tubs available can make your decision much easier. Your new hot tub is a major financial investment. It’s also something you want to keep for several years of enjoyment. One of the easiest ways to protect your investment is a hot tub cover. Keeping your acrylic bathtub from Aqua Living clean not only maintains aesthetic beauty but also promotes a more sanitary environment for bathing and relaxation. If your bathtub has jets, regular cleaning can prolong their proper functioning as well. A beautiful bathtub from Aqua Living can be the focal point of your bathroom. Yet, our baths are about so much more than aesthetics. The right tub can make all the difference to your mental and physical health. The better maintained your tub is, the longer your investment in health & relaxation will last. Get tips on how to clean different types of jetted tubs and spas. The right chemical mixture is critical in keeping the water quality of your spa at a safe and pleasing level. Here we discuss the water chemistry basics & how to prevent mineral buildup in your hot tub. Filters are an essential part of keeping your hot tub water clear and pleasant. To ensure your filter is doing its job you’ll need to clean it on a regular basis (every two to four weeks) and occasionally replace the cartridge (every three to six months). Foam in your hot tub is a sign of contaminants. Here we’ll discuss what these contaminants are, why they manifest in the form of foam, and what you can do to remove them from your spa. Calcium scale can build up in the pipes, jets and other components of your hot tub, and it can damage the working parts of your spa. Here we’ll discuss what calcium scale is and how you can prevent & get rid of it in your hot tub. While cracks can cause leaks, scratches can cause discomfort for users and become grooves for collection of debris and bacteria. Even the smallest cracks and scratches in your hot tub can compromise its safety, comfort and performance. A leak from your hot tub might be alarming, but it’s often easily fixed. Here we’ll look at the reasons a leak might occur and what you can do to stop it. A hot tub that doesn’t heat properly is understandably frustrating. Fortunately, issues with your spa heater are often easily fixed. Here we’ll discuss common problems and how to address them. Spa Pillows are one of the simplest parts of the system to maintain. Just like any other component of your hot tub, the pillows are best protected by a clean filter, clean spa and proper chemical treatment. An air lock occurs when air gets stuck in the plumbing lines of your hot tub. Learn how to avoid this issue and quickly fix it if it does occur.